You'll be £24.00 closer to your next £10.00 credit when you purchase Great Western Railway Gallery. What's this? It could be agued that the great Western or 'Gods' Wonderful Railway' was for many years the most famous railway in England. Much of the railway that we see today was the work of probably one of the great engineers of his time, Isambard Kingdom Brunel. The company was also served by locomotive engineers such as Gooch, Armstrong, Churchward, Collett and Hawksworth, who between them produced a series of locomotives that were well designed, elegant and powerful. Serving many holiday resorts of the south west, with trains such as 'The Cornish Riviera Express', the publicity department exploited to great effect the Great Western as the 'Holiday Line’. It is probably true to say that in the years before the Second World War the company was producing some of the most effective publicity material in England. Using previously unpublished material from the extensive 'Great Western Trust' collection at Didcot Railway Centre, the book illustrates in both black and white and colour many facets that made the Great Western 'Great'. This is the latest in Pen and Sword’s series of railway books, and again it contains rare and superb photographs of a different era in British railway history. Magnificent. Using previously unpublished material from the extensive 'Great Western Trust' collection at Didcot Railway Centre, "Great Western Railway Gallery: A Pictorial Journey Through Time" by retired professional photographer and photography teacher Laurence Waters wonderfully and informatively illustrates in both black and white and color many facets that made the Great Western 'Great'. 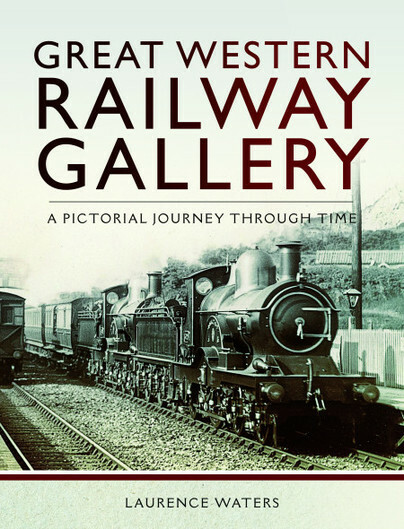 An exceptional photographic study, the "Great Western Railway Gallery" will be an enduringly valued and appreciated addition to personal, community, and academic library Railroading History collections and supplemental studies reading lists.